I love birthdays. I love the opportunity to spoil a friend or family member just because they are alive. Sure you can do that any day of their life but to get to celebrate the day they came into being and started living their lives is just so special to me. Generally speaking I not 100% a fan of my own birthday but other people’s birthdays let me tell you I can definitely get behind that! This year is a little different. I am ending another decade and unlike 20 this one feels like a bit of a bigger deal. Sure 20 was a big deal I was no longer a teen and I was officially in my adult years, but let’s be honest I was still a teen for at least a couple years after that birthday. I didn’t have any major responsibilities other than showing up to work on time and getting those essays in on their due dates. Aside from that life was pretty easy. Now there are all kinds of payments; mortgage, insurance, school, utilities, blah blah blah right? Although I do think back every now and again about how easy life was before I turned into an “adult” I would seriously never go back. Why wouldn’t I ever go back? Well because my 20s were fun however there was so much learning and development, I mean I wouldn’t trade it for the world but why on earth would you ever want to do all of that again? Figuring out who I was, learning to be 100% responsible for myself, and trying to figure out what my life was going to be (still figuring that one out by the by) . Aside from all that “have to do stuff” my 20s were fun, I met so many amazing people, many of whom are still in my life, but all the caring about what other people thought, gawd no thanks. Not that I have become some sort of heartless beast just that I have learnt to “do me” and be unapologetic for who I am and what my beliefs are, that being said I have also become a lot more tolerant of others and their view points. Besides me turning into a pretty different person than I was as a teen or in my early 20s I am not 100% how I am feeling about turning the big three-oh. There are moments where I think “bah it is just a number” and then there are other moments that I stop and think “oh gawd I have to be a real adult now”. All I know right now is I am excited for my birthday party and celebrations with my loved ones. In the mean time I am going to mediate away my neurotic impulses to freak out and just enjoy the last 2 days of my 20s. But enough about me getting older. 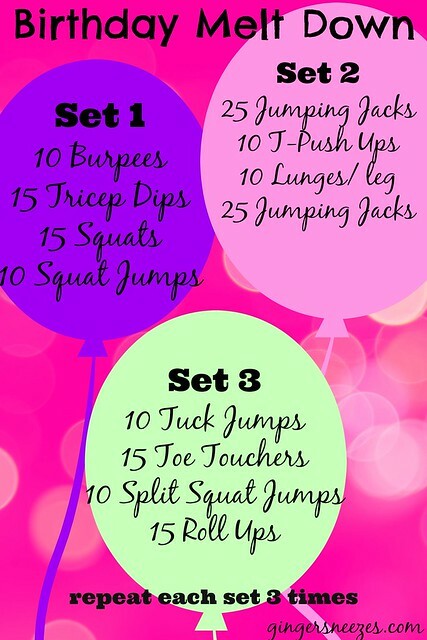 Here is a fun little quick sweat it out to keep you moving during this never ending winter. How was it for you when you hit a milestone birthday? Were you excited? Freaked out? Indifferent? 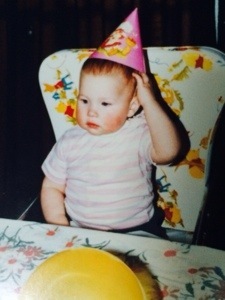 This entry was posted in General and tagged adult, big 3-0, birthday, body weight, cardio, celebration, decade, happy, move, strength, workout, years by healingginger. Bookmark the permalink.